Jordan Patterson is building a strong case to fill in for the injured Ian Desmond. The Rockies No. 16 prospect, according to RotoWire, has also seen the most innings at first base this spring behind Ian Desmond. With a .310 average and a 936 OPS through 42 plate appearances, Jordan Patterson is in the mix to be the opening day starter. 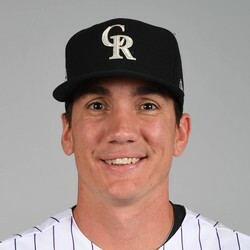 It's worth noting that he played very well in a short stint with the Rockies last year, collecting a .444 average through ten games. He's competing primarily with Mark Reynolds, Stephen Cardullo and Gerardo Parra.